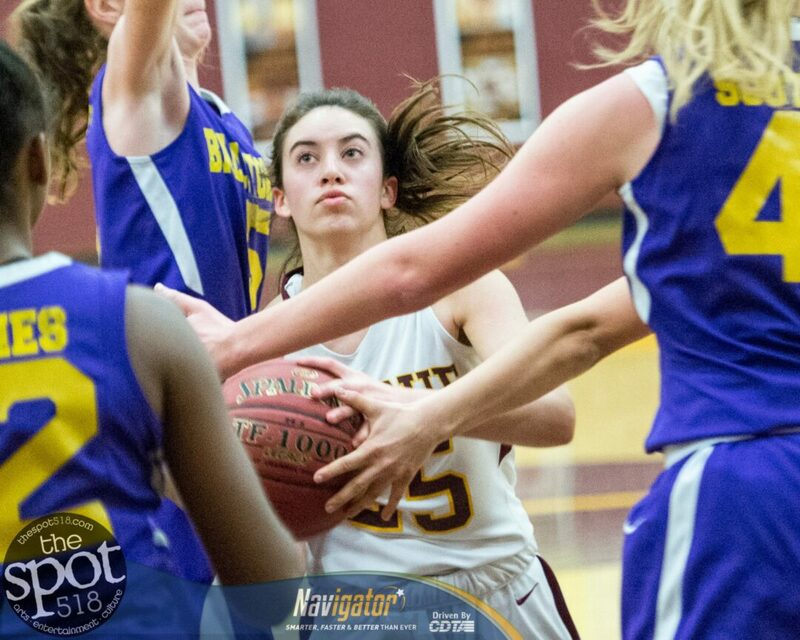 COLONIE — On Senior Night, Friday, Feb. 8, the girls basketball team got by Ballston Spa 56-48 in a Suburban Council matchup. Colonie senior Kyara Triblet led all scorers with 18, while Aliyah Wright and Makayla Blake had 11 each for Colonie (11-4, 14-5) in the team’s last home game of the season. Alivia Paeglow had seven, Marcie Trimarchi had five and Sarenna DiCerbo had four points for the Raiders. Sierra Delaney had 15 for the Scotties (3-13, 5-15) while Samantha DeVito had 10 and Laila Cowsette had six points. On Tuesday, Feb. 12, Colonie will play its last regular season game of the season at Shen.